If you are tired of your uneven smile, badly spaced or severely stained teeth you may want to look into dental veneers. If you are considering veneers it’s important for a reputable dentist like Dr. Mitzi Morris to determine if veneers are an appropriate solution for your dental dilemma. Porcelain veneers have the ability to transform a smile if you are a good candidate for this procedure. It’s important to ask for a smile analysis to help determine the necessary steps needed to achieve the smile of your dreams. Porcelain veneers are wafer thin pieces of porcelain that are placed on the front side of teeth to recreate the front appearance of a tooth. Veneers add strength and beauty to weakened tooth enamel; they can completely alter the shape, size, length and look of a tooth and smile. Veneers can even be a solution for slight alterations to the position of teeth. Porcelain veneers are individually sculpted and custom made for each tooth. This stain resistant tooth cover has many benefits that allow it to dramatically fix problematic teeth. 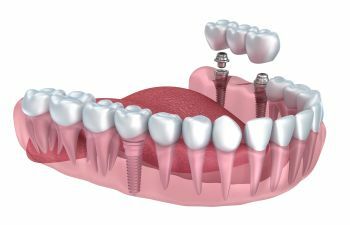 For veneers to be placed on your tooth very little of your natural tooth has to be removed for a veneer to be properly attached. If you have teeth that are stained and resistant to whitening porcelain veneers are a perfect match, as they can cover even the darkest stains. They are great at fixing minor twists in teeth and filling small gaps. When veneers are crafted by an experienced dentist the end result is a stunning new smile or perfectly restored problematic tooth. There are a few small downsides to veneers that are important to understand. A dentist must remove or reduce a small portion of your tooth enamel for veneers to properly adhere to the natural tooth, making this an irreversible process. Veneers are a multistep process so it may take 2 or 3 dental visits before the final veneer is permanently affixed. Porcelain veneers can be used like natural teeth however you should not bite your fingernails, chew ice or other hard objects. Maintenance of veneers is similar to natural teeth, so daily brushing and flossing is recommended. If you grind or clench your teeth, your dentist may recommend a night guard to protect your new smile. And finally, veneers can come with a bit of a price tag, so they truly are an investment in your future.